The Programme for QS Registration Scheme (PQRS) is a platform to encourage all QS graduates to be part of the professional cluster agenda. 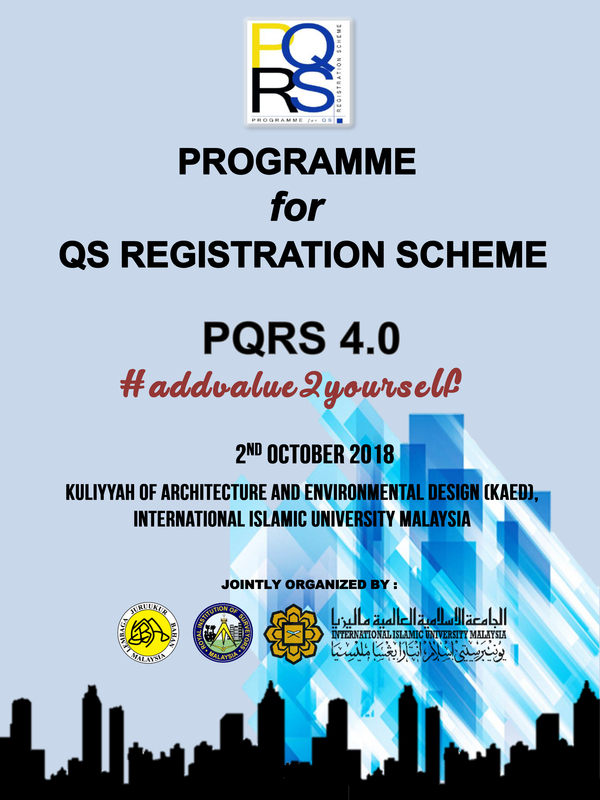 Targeting all prospective quantity surveyors to be registered with the Board of Quantity Surveyors, PQRS aims to address the issues of the QS today and the way forward to embark ideas for future betterment of the profession. This conference is hoped to catalyze the journey of the young QS in becoming a registered QS in the very near future. It is a unique opportunity for participants from various sectors to share experiences, cement friendship and exchange ideas for moving the quantity surveying profession forward.